The remote control firmly entrenched in our lives and we cannot imagine without them the operation of the electronic devices in your home. But every year the household appliances in our house more, and, accordingly, remotes, too. Sometimes finding them can sometimes be problematic. And then we come to the aid of universal remote controls. This accessory is perfectly capable to handle all your home appliances — from TVs to microwave ovens, unless it has a IR receiver. 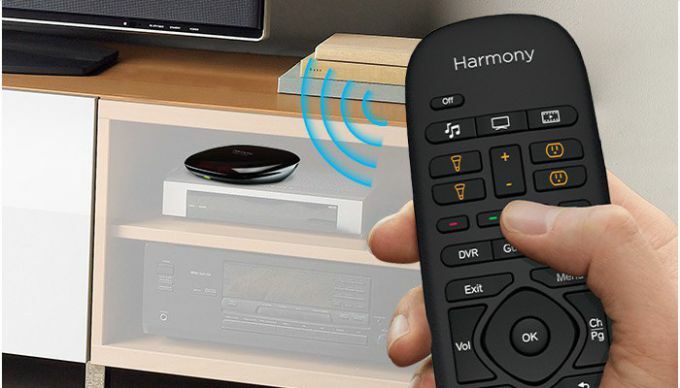 How to set the channels on the TV "Horizon"
What is a normal remote control? This is usually a small box with a keyboard, LEDs and a circuit. As soon as we press the trigger, the infrared transmitter transmits a code for the same receiver of the other device, and respectively executes the given command - adjust the volume or switch the channel. Universal remote works in the same way, but in his memory you can record from multiple devices. For a start determined by the model. In the instruction manual should be written codes for different manufacturers. It is here we find the code required for our apparatus. Usually several of them. Found code entered on the remote, then simultaneously press the SET and TV (sometimes instead of the TV on the DVB device write). Once lit the led on the POWER button, enter the code. Now the indicator goes out, and our device is ready to control. But if it doesn't work, try repeating the same with other code that is appropriate for this device. If the user does not have the code to your device, then run the automatic search. You first enable the managed device, e.g. a TV. This should work one of the channels. Simultaneously press the SET and TV and keep them for a few seconds until the indicator until the POWER button begins to blink. Next, you need to point the remote at the device. If your device responded, quickly press any key except SET. If you don't have time to do this, start the automatic search or go to manual search. For manual search also need to enable the same TV to work one of the programs. Simultaneously press the SET and TV. When this indicator lights up the POWER button. Now every second briefly press this button until your device begins to respond. To end the search, press or TV SET.